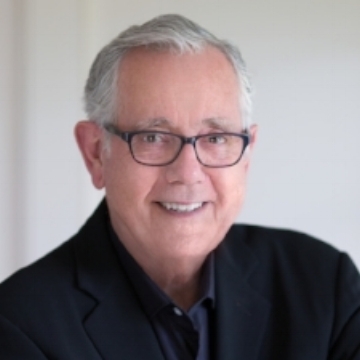 Keith Reinhard is Chairman Emeritus of DDB Worldwide. He is one of the few agency heads to rise through the creative side of the business. Under his leadership as Chairman and CEO, DDB Worldwide became one of the largest and most awarded advertising agency networks in the world. A member of the Advertising Hall of Fame, Keith has been referred to as the industry’s “soft-spoken visionary” by Advertising Age, which in 1999 named him one of the 100 most influential figures in the history of advertising. Keith is the author of Any Wednesday, a collection of notes on advertising and life. As VaynerMedia’s first Chief Heart Officer, Claude Silver unlocks human potential by forging human-to-human connection with honest and empathic communication. Claude has a unique perspective on corporate leadership and team-building, which shines through in her experience in talent management, employee retention, workplace culture, and people operations for over 750 employees. Prior to VaynerMedia, Claude held leadership positions at JWT, SAYMedia, and Publicis London. Her focus on strengths & wellness, active listening, and nurturing a workplace that embraces inclusivity, collaboration, and candor allows her to build deep trust and respect from those who work around her. Debbie Millman is a designer, author, illustrator, educator, brand consultant, and host of the award-winning podcast Design Matters. She is named “one of the most creative people in business” by Fast Company, and “one of the most influential designers working today” by Graphic Design USA. As the founder and host of Design Matters, one of the world’s first and longest running podcasts, she has interviewed over 400 artists, designers, and cultural commentators since the past 13 years. Debbie is the Chair of the Masters in Branding Program at the School of Visual Arts, is the President Emeritus of AIGA, is has also authored of six books covering visual essays, branding, and design. Janneke van Geuns is Head of Insights & Analytics at Google. She and her team are responsible for taking analytics and search-intent data to drive strategy, spark content ideas, and prove impact for Google's major advertisers. They partner closely with brands, creative agencies, and media companies to bring behavioral data into strategies and decisions. Janneke always puts people at the center of these strategies by analyzing human, observable data in order to transform into actionable insights. She is a keen advocate for data-driven marketing, and prior to Google, Janneke was a Director of Strategic Analytics at FCB. Monique Nelson is chair and CEO of UWG, an insight-driven, award-winning, agency. An industry thought leader, her Agency is best known for its insights into culture, aspirations and breakthrough creative product. Her mission is to connect forward-thinking brands to the more than $1.3 trillion-dollar spending in the US multicultural market. Tania Yuki is Founder and CEO of Shareablee, the leading provider of actionable competitive intelligence for social media. She began her career as a media and Internet attorney, specializing in digital rights management, IP and film financing. After moving to the US, Tania was later enticed by digital and went on to run an online video content network as head of acquisitions and branding and has also led product management for comScore's Video Metrix. Tania is also the founder of Wimlink, an organization that holds regular events and seminars promoting entrepreneurship, leadership, and the professional development of women. Noël Paasch is the Creative Partnerships Lead on the Ads Marketing Team at YouTube. She works closely with creative agencies to highlight YouTube's tech and ad innovation, enabling partners to elevate the best of media, technology, and storytelling. Prior to Google, Noël started her career in law and public policy, working for the U.S. Department of State and other entities focused on foreign relations. Noël earned a Master's Degree in European Public Policy from King's College London and a Bachelor's Degree in International Business and German from Pepperdine University. Taryn Miller-Stevens is the Director of Strategy at DDG, helping companies and organizations launch and grow things that improve people's lives. She believes the status quo isn't good enough. As a community catalyst, Taryn has built partnerships for Change.org, Forbes, Target Corp, and The Obama White House. In 2015, Taryn executed a 50 State Tour during the summer of marriage equality. Taryn then launched the NY office for a Germany-based digital transformation consultancy called TLGG, after they were acquired by Omnicom. She also Co-founded OPEN Pride, Omnicom's LGBT, and ally employee resource group. Karin Soukup is Brand Experience Director at the independent, brand experience design company, COLLINS. Her history of working as a Design Lead at IDEO and as a Media Experiments Resident at Stanford University’s Hasso Plattner Institute of Design brings a unique, product innovation lens to COLLINS’ San Francisco practice. With a particular interest in designing for emotion, Karin has worked with social workers to help low income Americans build confidence through financial resilience toolkits; created a safe peer-to-peer SMS support system for cancer patients to reduce isolation; and reimagined how everyday objects can bring joy to Mondays for the masses. Tech ethicist David Ryan Polgar focuses on what it means to be human in the digital age. Standing at the intersection of business trends and emerging tech, David offers a fresh and insightful perspective into marketing (“Humanizing Your Brand”). He is a 3-time TEDx speaker and tech writer (Quartz, IBMthinkLeaders) whose commentary has been featured on CBS This Morning, SiriusXM, LA Times, AdAge, and more. David is the co-host of Funny as Tech, a show that tackles the thorniest issues in technology. He recently launched All Tech Is Human, which aims to better align the business interests of tech with the human interests of users and society.